Born in Tokyo, Junichi Hirokami studied conducting, piano, musicology and viola at the prestigious Tokyo College of Music. He began his conducting career at the age of 26 after winning the first Kondrashin International Conducting Competition in Amsterdam. 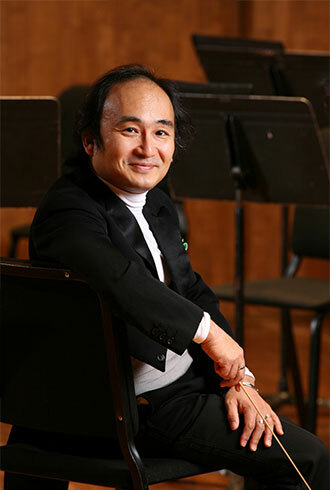 Since 1990, Junichi Hirokami has appeared as guest conductor with major orchestras throughout the world including the Orchestre National de France, Berlin Radio Symphony Orchestra, Royal Concertgebouw Orchestra, Orchestre Symphonique de Montreal, Israel Philharmonic Orchestra, London Symphony Orchestra, and Wiener Symphoniker. Between 1988 and 1995, Hirokami was Chief Conductor of Sweden’s Norrköping Symphony Orchestra. Since then he served as Chief Conductor of Limburg Symphony Orchestra (1998–2000), Principal Guest Conductor of Royal Liverpool Philharmonic (1997–2000), Principal Conductor of Japan Philharmonic (1991-2000), and Music Director of Columbus Symphony Orchestra (2006-2008). In recent years, he has been a guest conductor of orchestras which include Vancouver Symphony Orchestra, L'Orchestra Sinfonica di Milano Giuseppe Verdi, Monte Carlo Philharmonic, New Zealand Symphony Orchestra, São Paulo Symphony Orchestra, St. Petersburg Philharmonic Orchestra, Tchaikovsky Symphony Orchestra of Moscow, Baltimore Symphony Orchestra, Cincinnati Symphony Orchestra, and Gewandhausorchester Leipzig. In Japan he has conducted all the major orchestras including NHK Symphony Orchestra and the Saito Kinen Orchestra. He also received great acclaim for his appearance with the Mito Chamber Orchestra. He is prolific in opera as well, having led celebrated performances of “Un ballo in maschera” and “Rigoletto” at the the Sydney Opera House, and his most recent triumphs include “La Traviata” at the Fujiwara Opera, “Le Nozze di Figaro” and “Ainadamar” at the Nissay Theatre, and “La Traviata” and “Aida” at the New National Theatre. Hirokami is currently Chief Conductor and Music Advisor of the Kyoto Symphony Orchestra and Friendship Guest Conductor of the Sapporo Symphony Orchestra. Hirokami has been receiving number of awards including the 46th Suntory Music Award in 2015, and the 36th NHK Symphony Orchestra Arima Prize in 2016. He serves as professor at Tokyo College of Music and guest professor at Kyoto City University of Arts.